Libraries are much more than mere collections of volumes. The best are magical, fabled places whose fame has become part of the cultural wealth they are designed to preserve. To research this book, Stuart Kells traveled around the world with his young family like modern-day "library tourists." Kells discovered that stories about libraries are stories about people, containing every possible human drama. The Library is a celebration of books as objects, a celebration of the anthropology and physicality of books and bookish space, and an account of the human side of these hallowed spaces by a leading and passionate bibliophile. STUART KELLS is an author and historian. His history of Penguin Books, Penguin and the Lane Brothers, won the prestigious Ashurst Business Literature Prize. 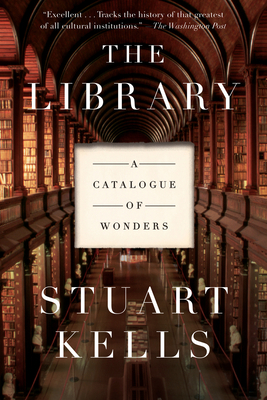 The Library: A Catalogue of Wonders was short-listed for the Australian Prime Minister's Literary Award and the New South Wales Premier's General History Prize, and has been published around the world in multiple languages. Find out more at stuartkells.com.